LONDON (Reuters) - Companies and factories in England will have a legal obligation to foot the bill for the disposal or recycling of waste packaging they produce under new plans by Britain's environment minister. Prime Minister Theresa May has pledged to eradicate avoidable plastic waste by 2042 as a growing flood of plastic endangers life in the world's oceans. 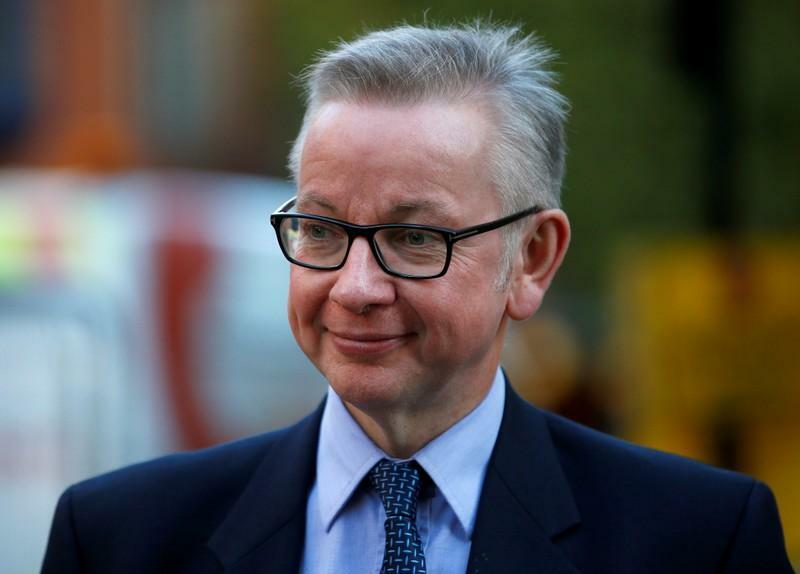 "We can move away from being a 'throw-away' society, to one that looks at waste as a valuable resource," Michael Gove, minister for the Department of the Environment, Farming and Rural Affairs (DEFRA), said in a statement on the proposed overhaul to England's waste system. Producers of items that are harder to recycle, such as cars and batteries, will have to take more responsibility for what they produce, while a byzantine system for household recycling will be simplified in a bid to boost recycling rates. The proposals only affect England as environmental policy is devolved to regional assemblies in Wales, Scotland and Northern Ireland. The issue of single-use plastics has become more salient this year after China cracked down on imports of plastic trash, leading the U.N. environment chief to call on developed nations to re-think their use of plastics. In October, finance minister Philip Hammond announced a tax on plastic packaging which does not meet a threshold of at least 30 percent recycled content from April 2022. Britain also wants to tackle food waste. Supermarkets and other food businesses will have to report annual food surplus and government may consult on mandatory targets to prevent food waste if no more progress is made. "Our priority is to stop surplus food from becoming waste ... Ideally, surplus food should be redistributed for people to eat," Gove's strategy paper said.